Happy Easter! 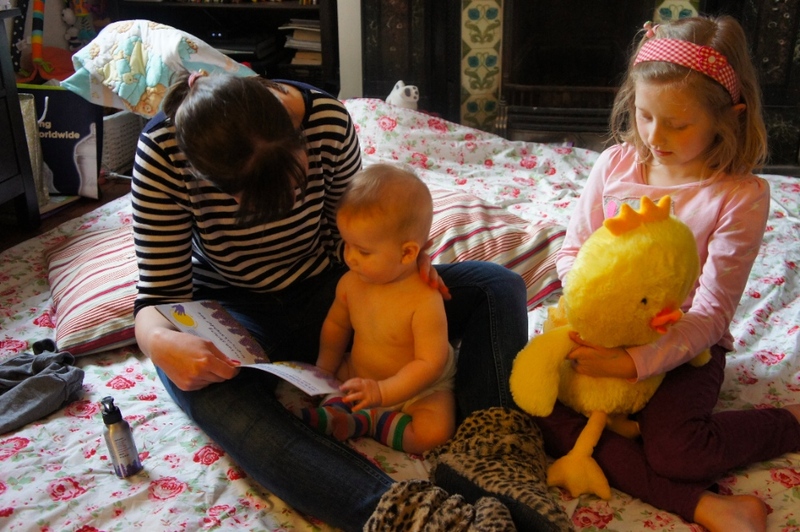 This post does involve a chick experiencing some baby massage but I’m afraid that’s as Easter-y as it gets. I hope you’re having a lovely long weekend though! By my calculations, Ally should have a 2 week old baby now so this post should start to come in handy in the next couple of weeks…I remember when Reuben was about 3 or 4 weeks old, I suddenly found myself starring at a baby who wasn’t crying, feeding, pooing or sleeping. I literally didn’t know what to do with him between then and the next time he’d need something! So I did my best to entertain him. It was pretty lame. After that it was clear that we were going to need to start doing things; having things to play with, ways to interact with each other. One of the main things we did together when he was really little was baby massage. 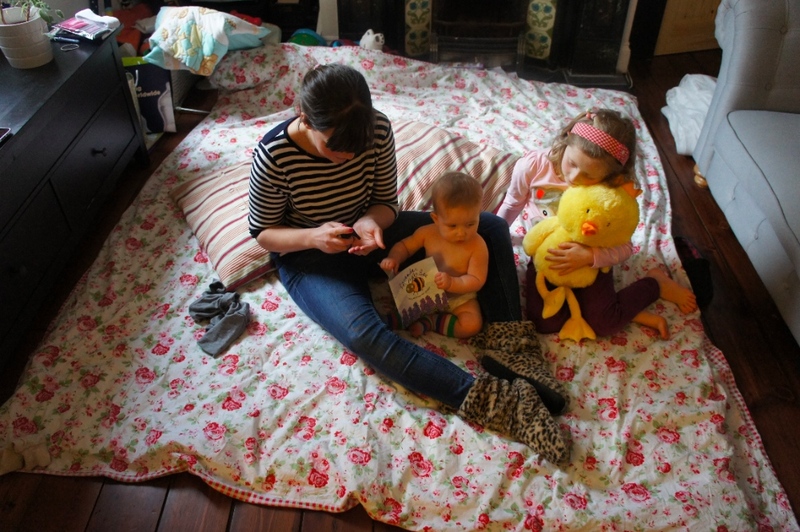 A bunch of us from NCT went to a lady’s house (Janine from Birth and Baby Basics to be exact!) 1 lunch time a week for 5 weeks, we sat in her living room with a roaring fire, and for a few minutes the seven screaming babies were calm. Surreal, I tell you. And from then on, every evening as part of his bedtime routine, I would massage Reuben’s legs (he couldn’t handle anymore of his body being touched in the evening). The change of scenery (he loved the bathroom) combined with nursery rhymes (and other songs, I somehow ended up singing Tina Turner most nights) and the leg massage was amazing for stretching him out when he was getting more and more ratty before his bath. It was a lovely time together, getting to know each other and we would have smiles again. 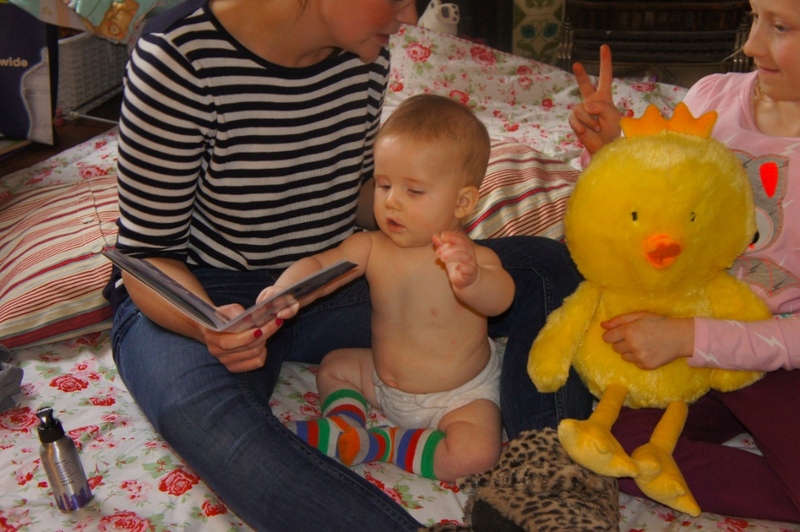 Needless to say, when I met Pippa and David from Tactile Tales, a company about promoting the benefits of massage and storytelling with your child, I loved them and Lavender Bee…it’s baby massage to the next level! I naturally instagrammed this gorgeous little packaging straight away! So, what is it? 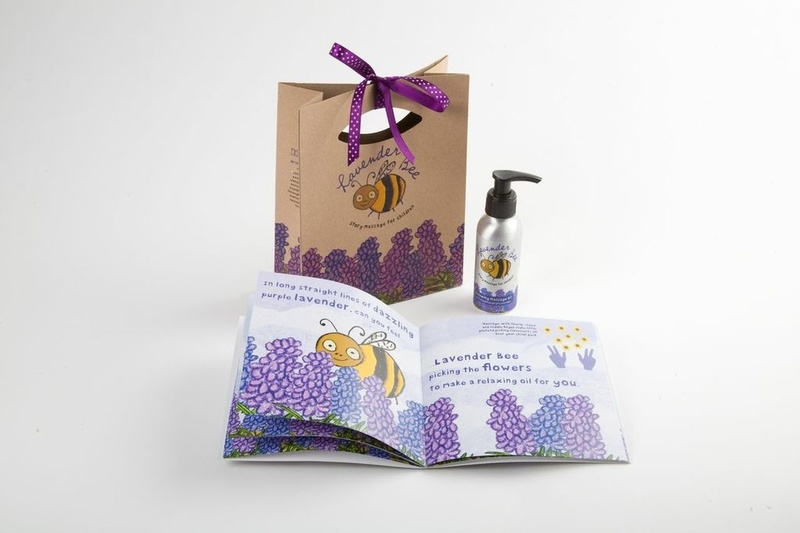 Lavender Bee is a story about a lavender bee (obviously) who goes on a journey through the lavender fields, encountering all weathers and a few friends along the way. It’s a lovely little story, but here comes the clever part…there’s massage instructions to match each page of the story. It also comes with a pot of lavender scented sunflower oil, which is therefore, great for babies from 6 months on (on a side note, they should make this in bumper packs because it is soooo nice). This is a very welcome break from Reuben smelling like a chip – so far we’ve only ever been able to use oil olive on him as he’s skin’s really sensitive. I really, really like it! I have to admit, although I don’t want to, that Reuben’s a bit too small to engage with the story (he’d prefer to eat the book) – it is aimed at toddlers after all – but I still like to do it with him. I like the techniques and the more we do it the more he will start to interact with the story. What a lovely way to incorporate baby massage as he grows! Plus for now the lavender oil makes him all nice and sleepy (me too!). I’m doing it with my baby and Gabby’s doing it with her’s (the chick). NB Gabby isn’t swearing at me in the 4th photo, she’s getting her fingers ready for the next massage! 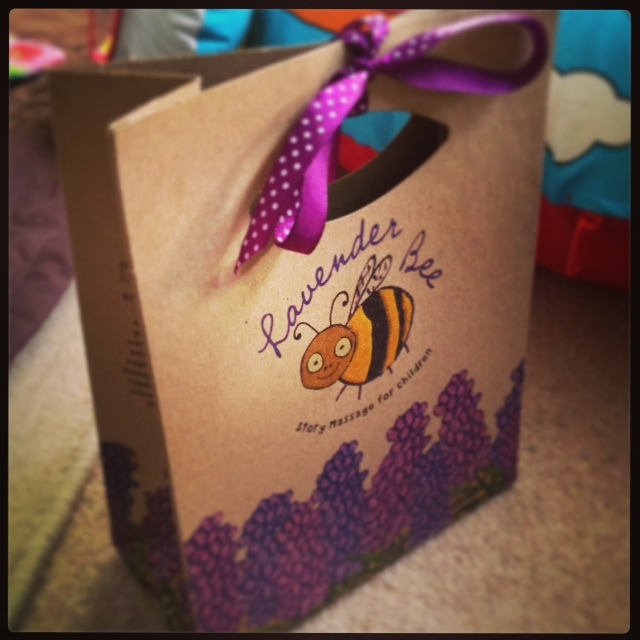 You can buy the Lavender Bee massage pack from Tactile Tales for £15 (inc p&p)!